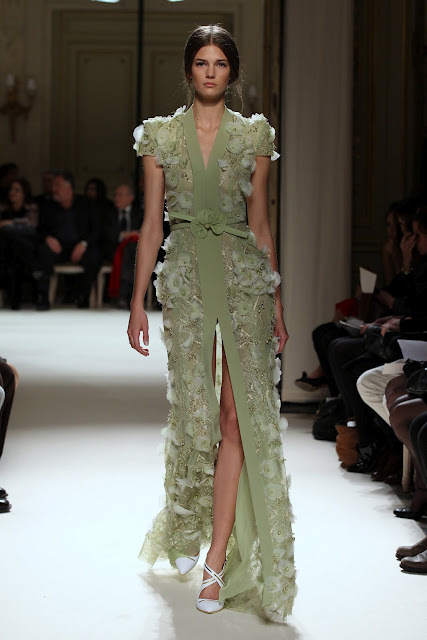 Delicate blossom - the orchid is the most coveted flower on Earth and is the inspiration for George Hobeika's Spring/Summer 2012 Couture collection - the Georges Hobeika woman will seduce in slender silhouettes of vine-like curve and romance in circle skirts with petal-arched hips. 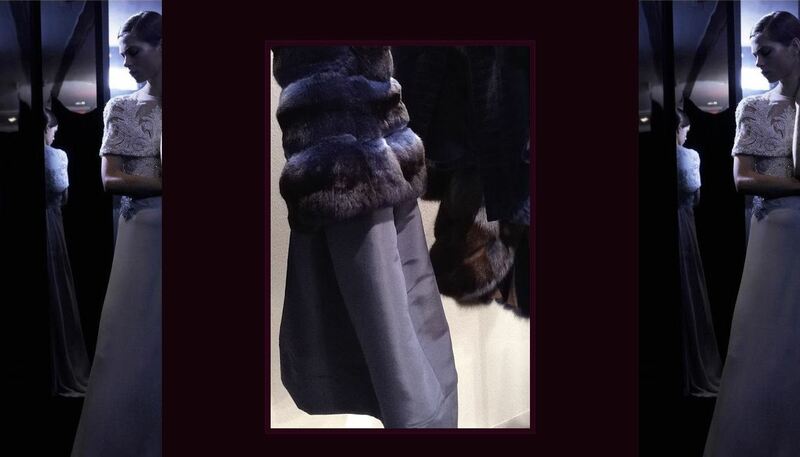 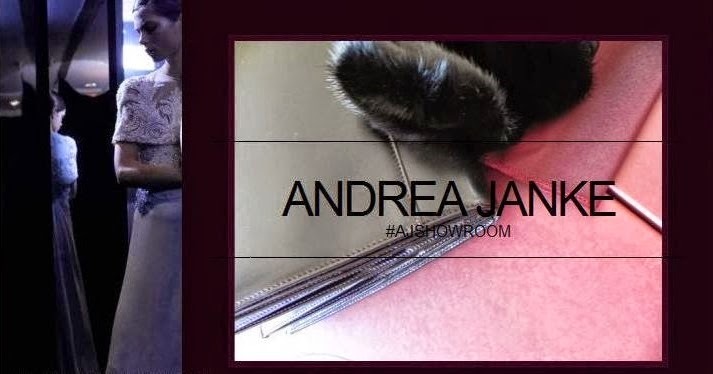 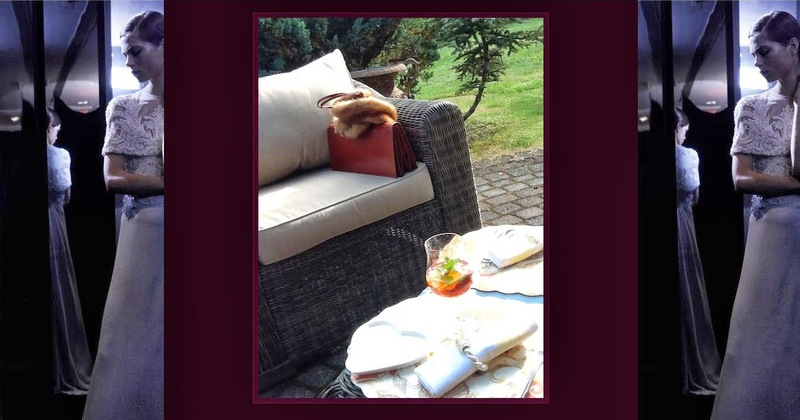 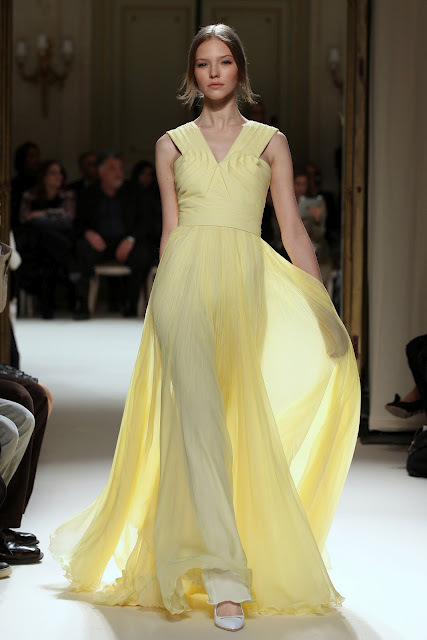 Strength of structure harmonizes with the flow and flutter of luxurious chiffon, georgette, crepe and organza to become what She is. 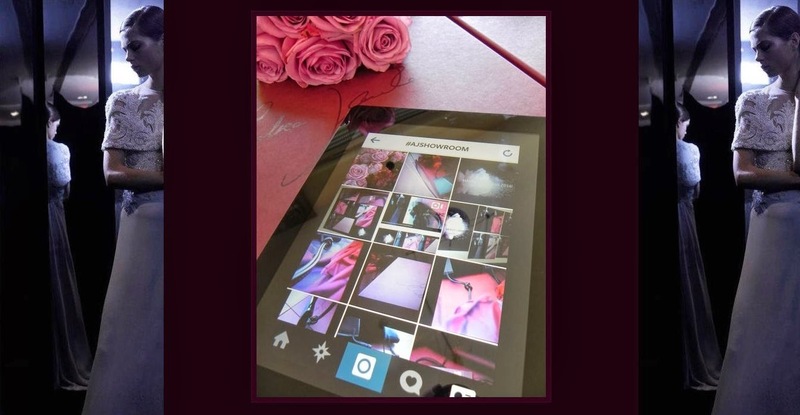 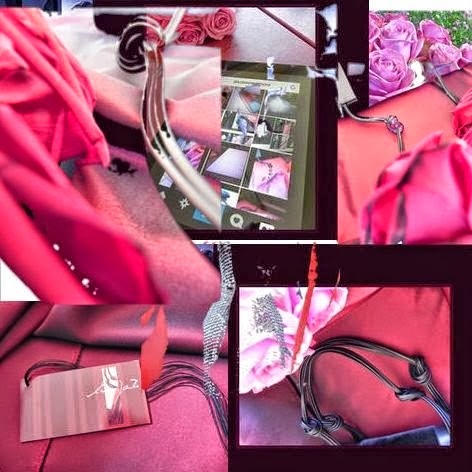 Exquisite embroidery beckons refreshing rains and glistening morning dew perfects the collection, accentuating a sensual color palette intensified with tarragon, snapdragon and aqua. 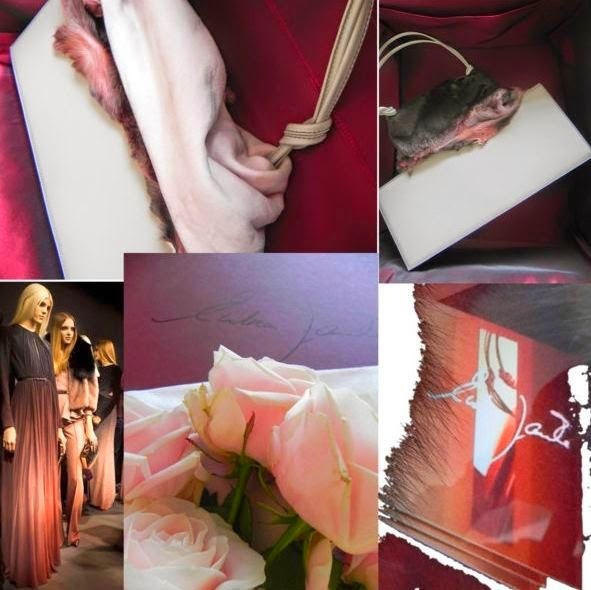 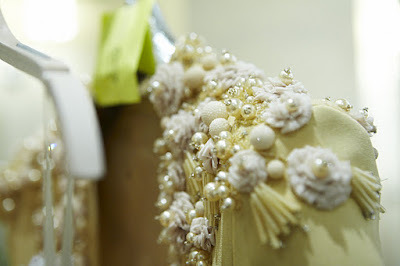 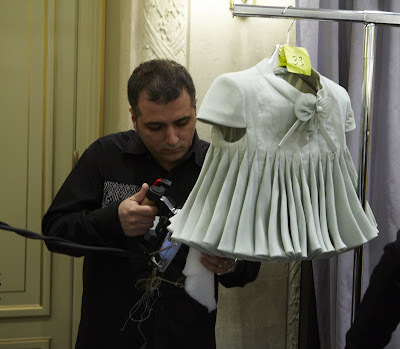 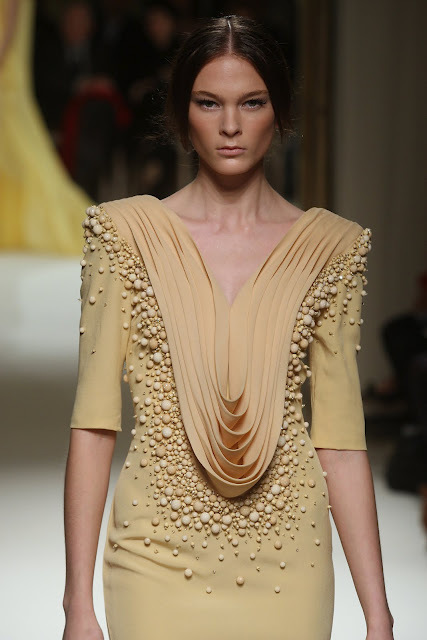 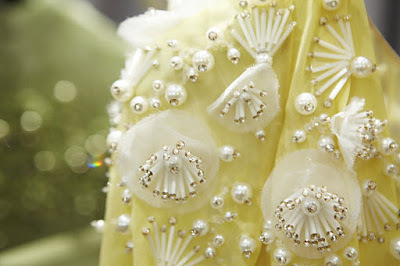 Embroidering is one of the Lebanese designer's many talents making his pieces outshine, the laser cut florets, sequin and pearl work looks almost three dimensional, the designers inspiration for his Spring/Summer 2012 couture collection was the orchid. 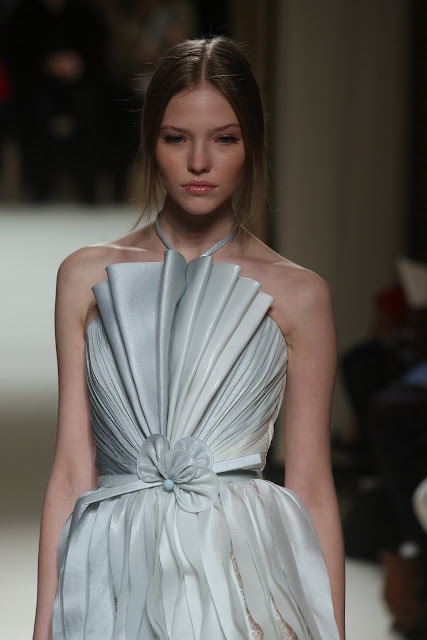 Innovative pleat details, accordion-like, triangular folds and fan patterns in different variations was the hallmark of this collection along embroidery. 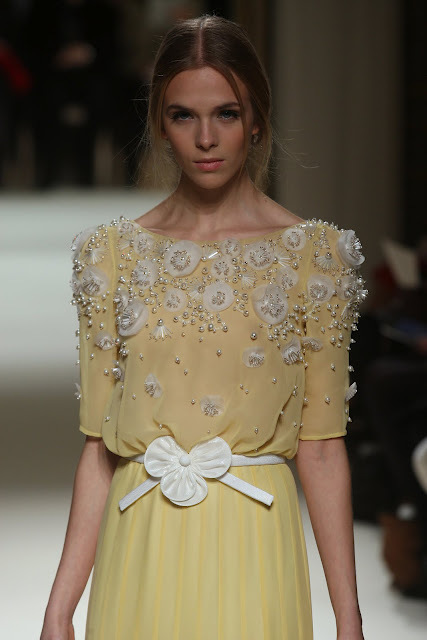 Softness being a key factor in the way Georges Hobeika crafts and shapes his signature feminine and graceful silhouettes, slender with a vine-like curve, it was also felt in the soft pastel shades lke buttercup yellow and peach made intense with tarragon, snapdragon, aqua and icy hues with ombre effects on the bottom hals of some of the dresses. 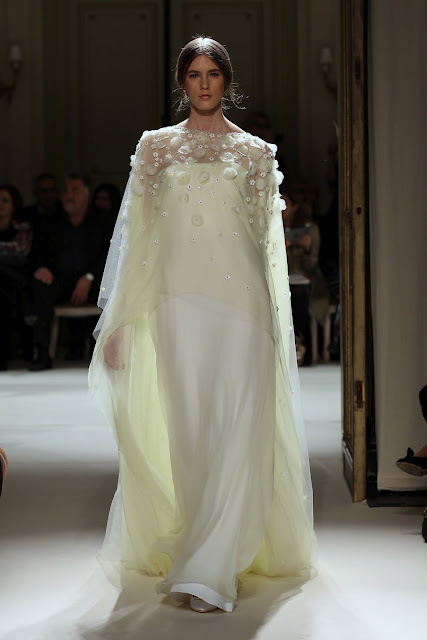 In the treatment of the delicate lace fabric and sheers like chiffon, georgette, crepe and organza with embroidery, the use o ruching and the padded shoulders defined to a strong but soft point. 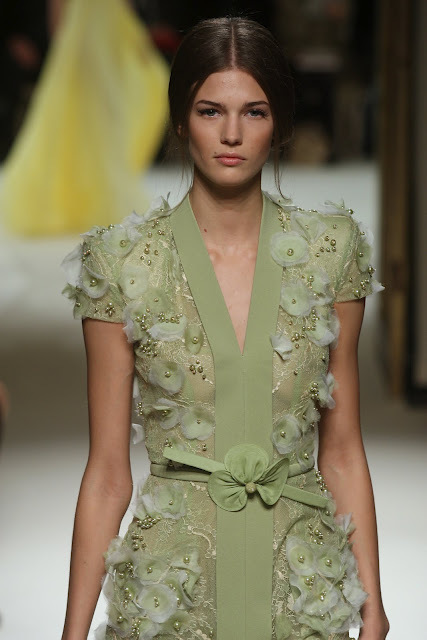 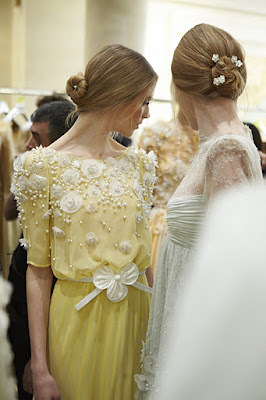 Some of the dresses were belted with a petal flower button in the center, that was used as closures on necklines. 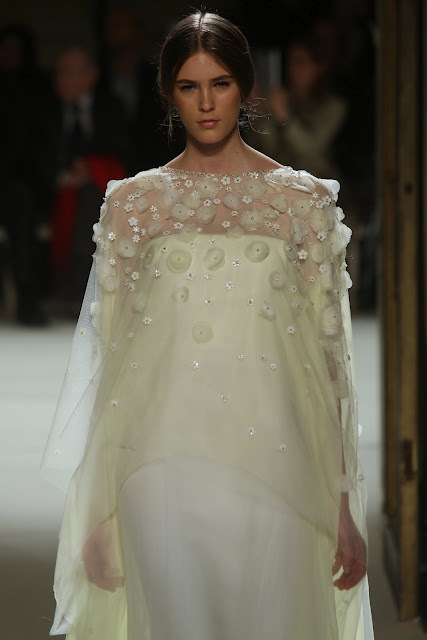 Cape-like trains, mermaid and fishtails on the back, needless to say these cocktail dresses, circle skirts with petal arched hips and eveing gowns are going to be hit on the red carpet, and with Arabian princesses, it may also catch the eye of rising debutantes and women planing to attend a ball, important soirée or the opera. 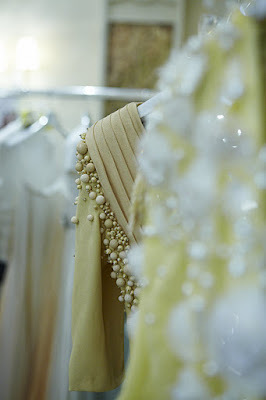 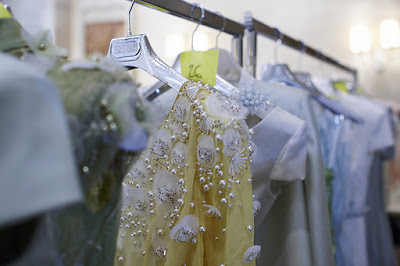 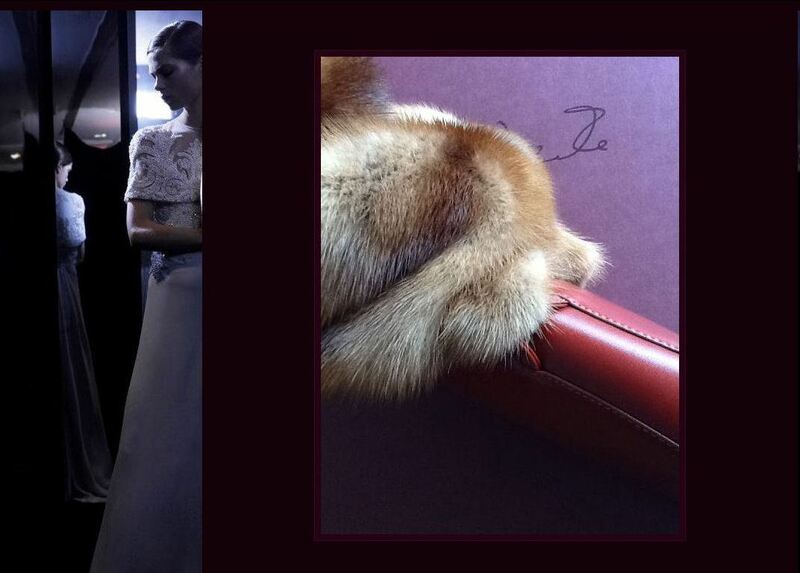 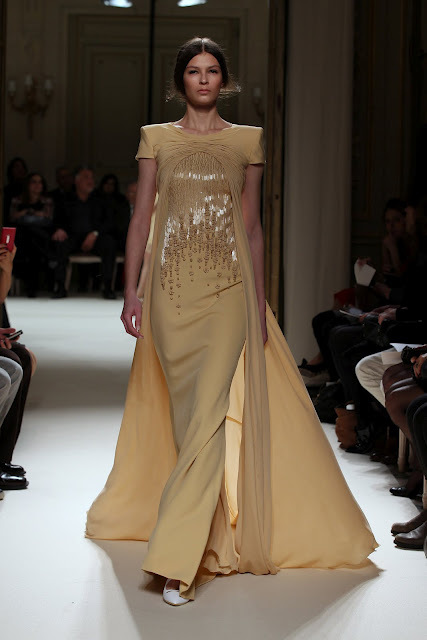 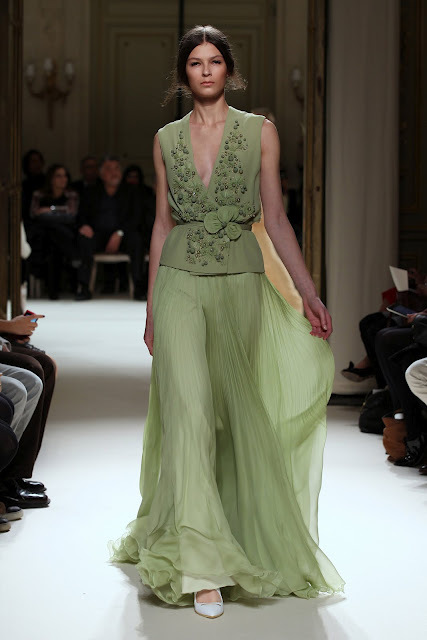 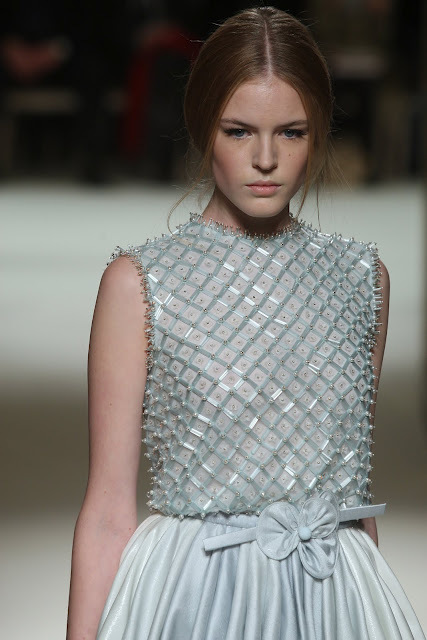 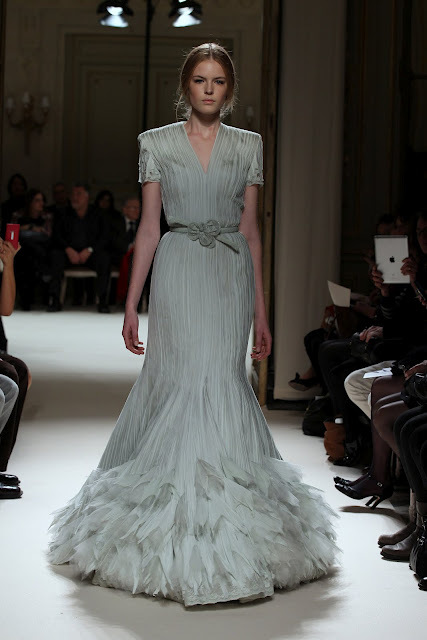 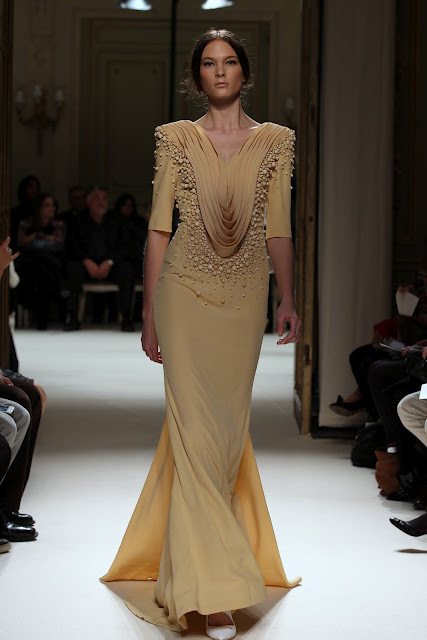 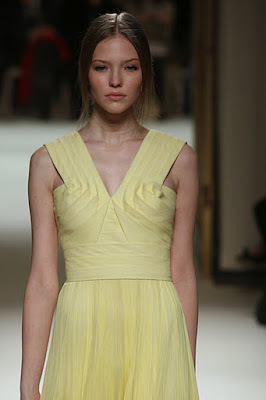 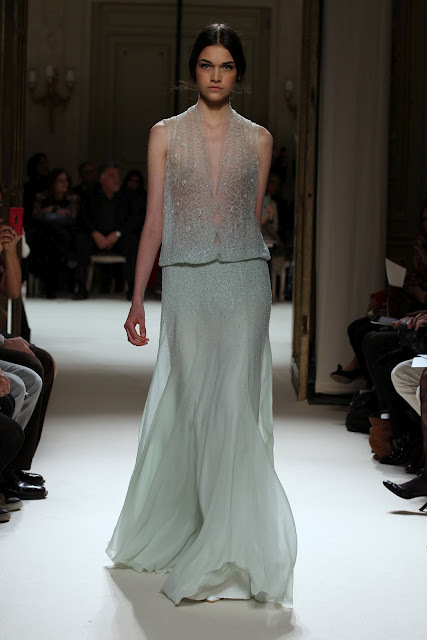 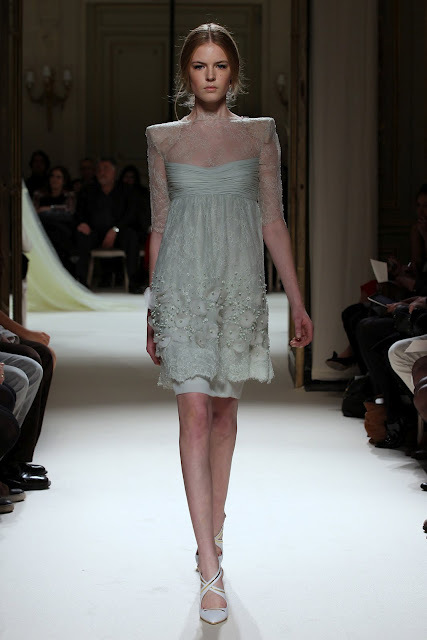 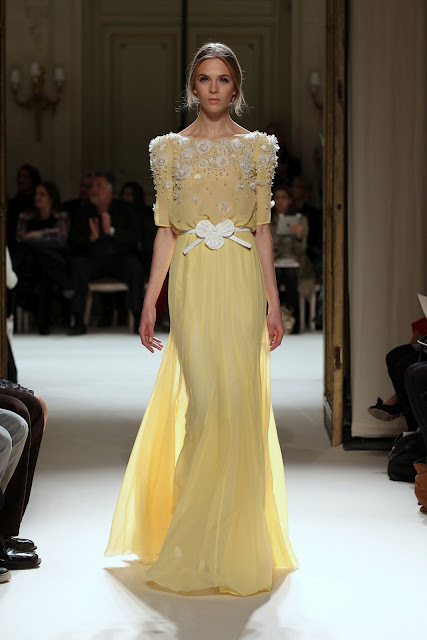 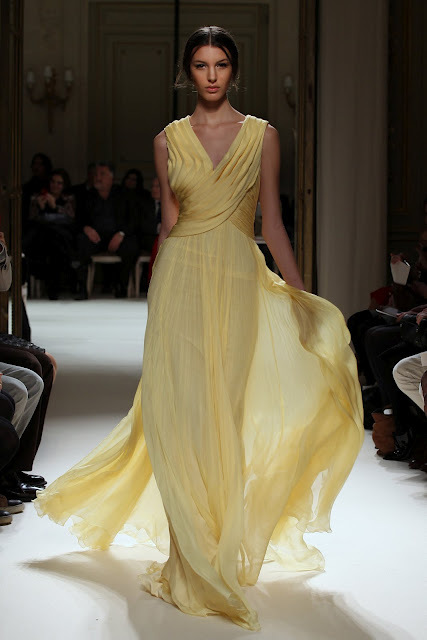 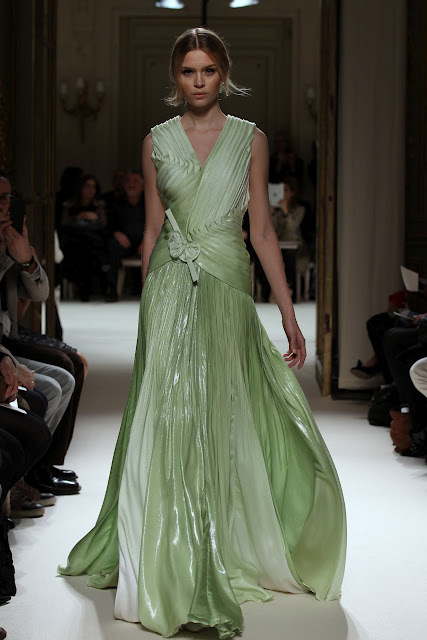 Couture Spring/Summer 2012 collection, fashion show and review.